Rose water is a pure one.It doesn't contain any artificial components.Rose water is extracted from rose petals.It can help you to treat acne and skin irritations.Rose water can be used as a toner as well as moisturizer.This rose water is suitable for every type of skin.For normal skin it can be used for purifying purpose.For sensitive skin ,rose water can provide cooling effect.Every one can feel fresh skin by using rose water. 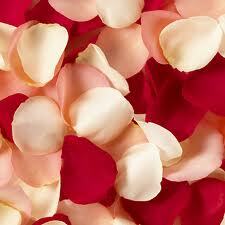 1.Rose water can be used after shave for smoothing the irritated skin. 2.Rose water can be used to balance oily skin. 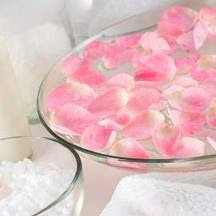 3.Rose water can cure the sunburns and wounds. 4.If your nails gets spots then mix lemon juice with rose water and wash the nails thrice a week.The nails become shiny and healthy. 5.Skin cleanser with yogurt and rose water can give you better results. 6.Mostly housewives hands become rough and dry ,they can use rrose water and glycerine thrice a day. Apply rose water daily two times a day ,in the morning and just before going to bed.Apply rose water on your skin with cotton in circular motions.This helps to avoid wrinkles on the skin.So apply rose water daily and get a glowing,smooth,acne free skin.